I do work for IBM as a developer on Watson but that role doesn’t extend to this blog. My responsibilities for Watson are limited to writing code… so any ramblings here are my personal views, and not necessarily representative of IBM’s positions, strategy or opinions. 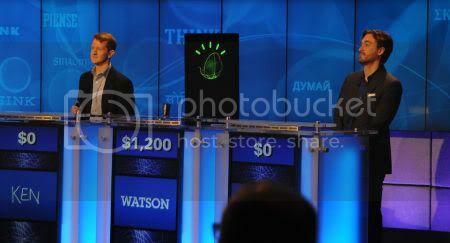 The first time most people saw or heard of Watson was on “America’s favourite quiz show”, Jeopardy! I’m not sure that’s entirely a good thing. Jeopardy! was a great demonstration of Watson’s capabilities in a lot of ways. It showed the breakthroughs in interpreting natural language, the breakthroughs in coming up with evidence and rationale and identifying the level of confidence in it’s answer’s, and the power of machine learning systems. But… it does make it easy to misunderstand the future potential of the technology.